Water has always been associated with the ancient teachings of relaxation. The steady flow and continuous sound of running water can help soothe the mind, body and spirit. People seeking to create a more tranquil setting for their interior spaces now have the option of adding any number of water fountains to their homes or offices. The array of interior water fountains includes both the large and small versions. On the small scale the table sized fountain could be the perfect addition to any area with a limited amount of space. The design of these fountains range from the vertical miniature stone wall structures to the compact zen bowl structures. The larger types of indoor water fountains come in both wall and floor styles. Wall fountains are available in different sizes to accommodate the amount of wall space a home or office might have. Floor fountains are also available in various sizes and styles, including the cylindrical bubble model. The flat panel fountains use a system that recycles the water so it releases a stream of continuously flowing water. The panels used to house the cascading water will be clear in the front, but could have a colored material used for the back. 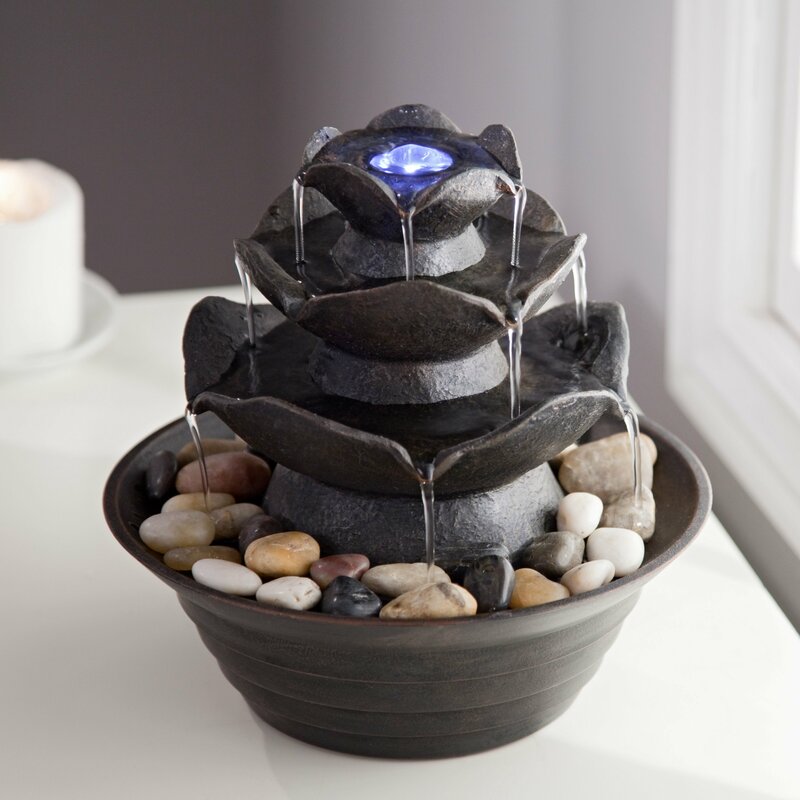 Some of the more popular materials for the back of a floor or wall fountain include slate or marble. Although the water flowing down the panel of an indoor wall or floor water fountain is usually very visually appealing, many models come with enhancements that make them even more captivating. The top section is often equipped with overhead lights to illuminate the panel during evening hours. The base is often used to hold meditative stones to help create an atmosphere of relaxation. Indoor water fountains for walls could also have back panels made as works of art.